Black Lotus Yoga Project is a non-profit studio dedicated to offering yoga practice as a transformational tool, particularly to those suffering from post-traumatic stress. Budgetary constraints were taken as an opportunity to explore and express the client’s elemental approach to yoga as a ‘simple, well-intended, and imperfect practice.’ The design solution was to abstract the site into two materials: the ground and the sky. Like the practice of yoga, the ground (bendable cork) and the luminous sky (fire-retardant tyvek) merge in the space between (the body) in ways that are both functional and symbolic. 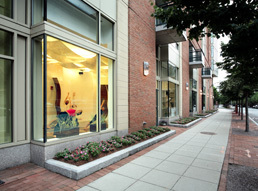 Views out to the streetscape extend the experience of yoga practice (left). 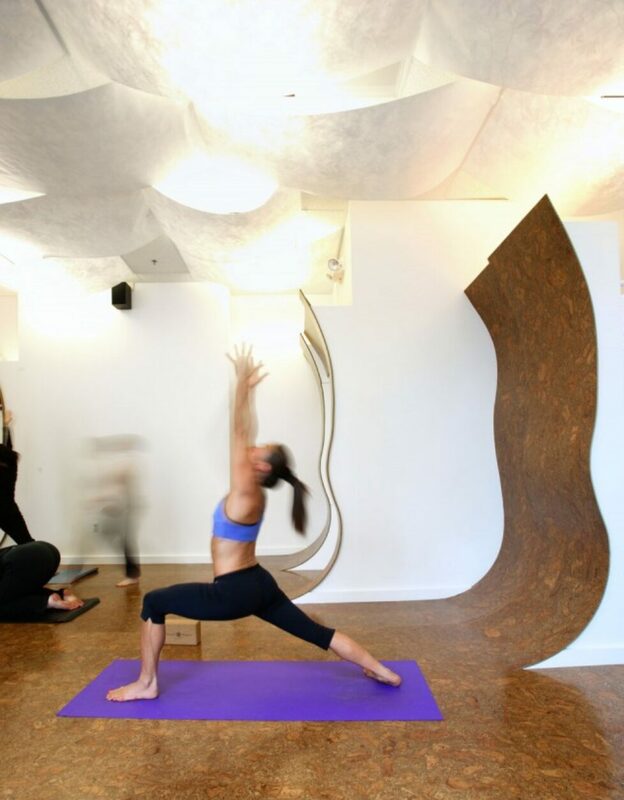 A mirror expands the ‘horizon’ while providing a learning tool for yoga practice. 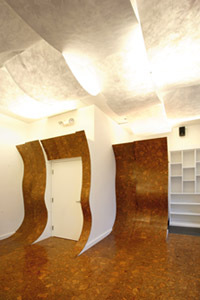 The curved cork flooring becomes analagous to petals of the black lotus.